Bedrooms: 5 "Additional space for a home office"
Bathrooms: 5 "Plus two Powder Rooms"
Size: 5,000 sq. ft. "Approx." Welcome to Ridgetop 12 at Palmas del Mar resort. 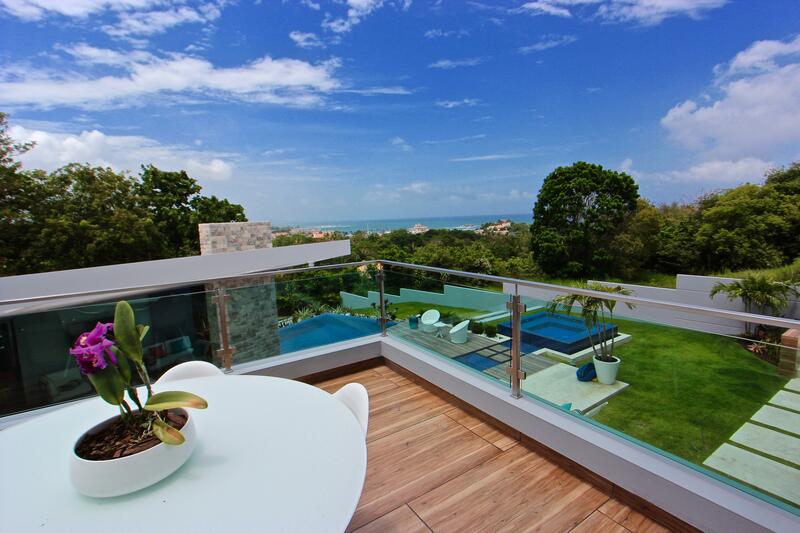 Ridgetop 12 sits cliffside, atop one of the highest points in Palmas del Mar overlooking the Caribbean sea. As you arrive through the newly paved street, you'll notice a simple, inconspicuous facade only to be wowed as soon as you step in the main entrance. 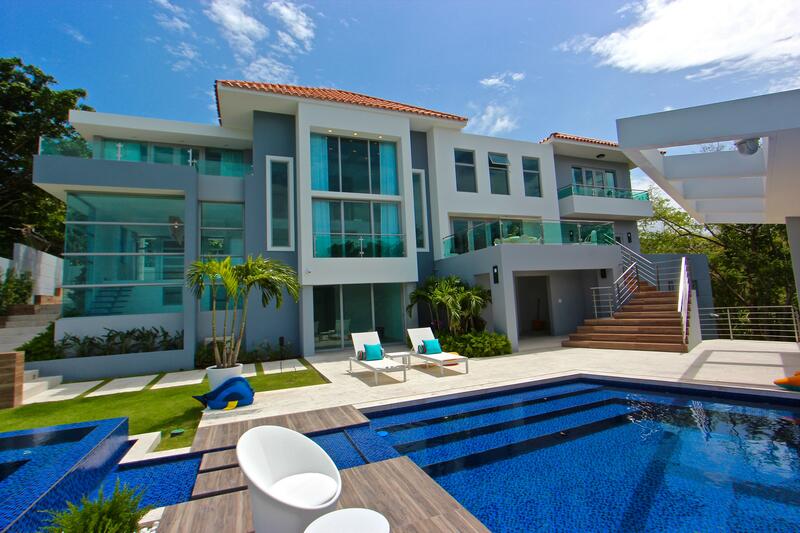 A bright and open floorplan, and one of a kind architecture, blends seamlessly with the deep blue hues of the ocean peeking through the windows. As you enter, you'll find a three plus golf cart garage, powder room, elevator, a sitting area, and a bedroom with walk-in closet, ensuite bathroom and small kitchen. One level down, a sitting area shared by two bedrooms and a bathroom. Walk across the open hallway to find living, dining, breakfast area and a spacious new kitchen with a massive island and gorgeous quartz countertops, all wrapped around by a verandah and spectacular views of the ocean throughout. One more level down you'll find one more bedroom with an ensuite bathroom, walk-in closet and verandah, laundry room, indoor garden, kitchenette, wine cellar, sitting area and the Master suite, walk-in closet, jacuzzi and outdoor shower. We continue the tour to discover the pool area adorned by beautiful lush gardens. Entertaining is a joy at Ridgetop 12, a full kitchen complements the pool area, making it easy to prepare treats and drinks for your guests. As a bonus, Ridgetop 12 includes a full power generator in case of any emergency. If you'd like to experience Ridgetop 12 up close and personal, please contact us to schedule a private showing.